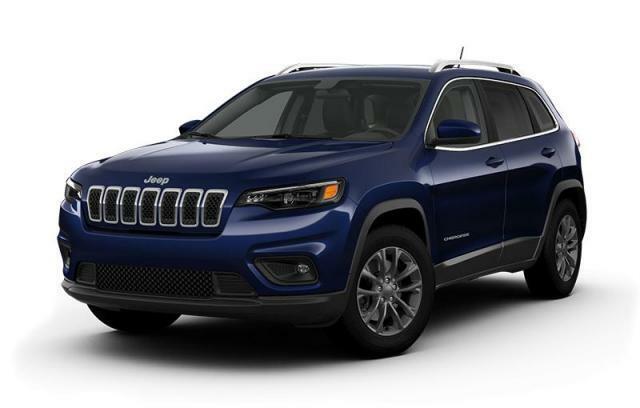 This Jeep Cherokee delivers a Regular Unleaded V-6 3.2 L/198 engine powering this Automatic transmission. TRANSMISSION: 9-SPEED AUTOMATIC (STD), RADIO: UCONNECT 4C NAV W/8.4" DISPLAY -inc: SiriusXM Travel Link, 5-Year SXM Travel Link Subscription, 5-Year SiriusXM Traffic Subscription, 4G LTE Wi-Fi Hot Spot, 1-Year SiriusXM Guardian Subscription, SiriusXM Traffic, For Details Visit DriveUconnect.ca, GPS Navigation, 8.4" Touchscreen, QUICK ORDER PACKAGE 26J -inc: Engine: 3.2L Pentastar VVT V6 w/ESS, Transmission: 9-Speed Automatic. ENGINE: 3.2L PENTASTAR VVT V6 W/ESS -inc: engine oil cooler, bright dual exhaust tips, COLD WEATHER GROUP -inc: Leather-Wrapped Shift Knob, Front Heated Seats, Windshield Wiper De-Icer, Remote Start System, All-Weather Floor Mats, Heated Steering Wheel, BLUE SHADE PEARL, BLACK/BLACK, CLOTH BUCKET SEATS W/ACCENT INSERT, Wheels: 17" x 7" Aluminum, Vinyl Door Trim Insert, Variable Intermittent Wipers, Valet Function, USB Mobile Projection, Urethane Gear Shift Knob.